Bremerton National Airport is the largest airport on the Kitsap Peninsula and provides world-class general and corporate aviation services and capabilities. Whether your firm develops aircraft technology or regularly uses corporate aircraft, there are substantial benefits to expanding or relocating to KPWT. ILS/LOC/GPS approaches accommodate all general aviation and jet aircraft. FBO services on the field from Avian Flight Center. Services include flight instruction, aircraft rentals, pilot store, corporate services, and refueling. Aircraft maintenance, aircraft repair, engine overhauls, part sales, and more provided by Avian Aeronautics. A pilot lounge open 24/7 with free Wi-Fi, refreshments and a temperature controlled place to relax. Continuous Automated Weather Observation System (AWOS III). A compass rose to certify aircraft navigational equipment which meets FAA specifications. Hangars available for rent or purchase. 520 acres of ready-to-build industrial land with FTZ designation at Olympic View Industrial and Bussiness Park, just across State Highway 3. Low business costs – power, taxes, land, transportation and labor. An Experimental Aircraft Association Chapter supporting those who are interested in building aircraft. Airport Diner, a full-service restaurant (call 360-674-3720 to order ahead). The Port of Bremerton and Bremerton National Airport take an active and evolving role in accommodating a growing user base. Please view the Airport Master Plan Executive Summary above for details on airport goals and future plans. Please download the KPWT rules and tariff rates above. Our airport now offer’s charter service! Our fixed-based operator, Avian Flight Center is now offering charter services through their sister company, Westwind Aviation. They will operate a Cessna 172 (three passengers) and hope to add additional aircraft in the future. To learn more about this service, please call 360-674-2008. 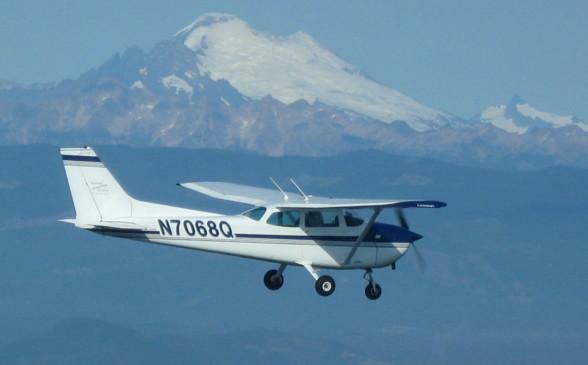 Future aviators 8-17 years old are eligible for the "Introduction to Flight" program at Bremerton National Airport, click here to about how to participate in these free flights! Founded in 1992, the Young Eagles program has dedicated nearly 25 years to giving youth ages 8–17 their first free ride in an airplane. It’s the only program of its kind, with the sole mission to introduce and inspire kids in the world of aviation. Today, the Young Eagles program has flown over 2 million kids with the help of EAA’s network of volunteer pilots and ground volunteers. Learn more about the EAA on their website and Facebook. View the flyer about this program by clicking the PDF above.